We have identified the top, best, and leading digital LED billboard display and electronic sign manufacturers in the out-of-home (OOH) and digital signage (DOOH) industry. All provide high-quality digital billboard and signage solutions (including software, service and support) to land owners, billboard operators, sign companies, real estate developers and others who want to capitalize on the next phase of growth in digital and outdoor advertising. Most of these digital display and billboard vendors provide owners with proprietary software solutions for managing their own digital signs or billboards (some newer versions of their software are web or cloud based). Fliphound's ad buying platform helps digital billboard owners generate new revenue from online advertisers. More than 500 premium digital billboards are available via Fliphound and some billboard owners are generating 5-20% of their overall revenue from online buyers. Fliphound is integrated or can be seamlessly integrated with software and hardware from these leading digital display and digital LED billboard manufacturers. If you are a billboard or sign owner and are interested in learning more about these vendors, building or installing a digital billboard or about enabling your billboard for online sales or tapping into new out-of-home (OOH) online buyers please contact us. Daktronics helps its customers to impact their audiences throughout the world with large-format LED video displays, message displays, scoreboards, digital billboards and control systems in sport, business and transportation applications. Founded in 1968 as a USA-based manufacturing company, Daktronics has grown into the world leader in audio-visual systems and implementation with offices around the globe. Formetco is a leading digital LED billboard manufacturer for outdoor advertising solutions. Located in north metro Atlanta, Georgia, Formetco provides design, production and installation services for customers throughout the United States. Formetco leverages 50 years of industry experience, and tech savvy talent, to lead the way in digital LED billboard design. The LG Electronics USA Home Electronics Business-to-Business division serves customers in the U.S. digital signage, systems integration, lodging and hospitality, healthcare, education, government and industrial markets. 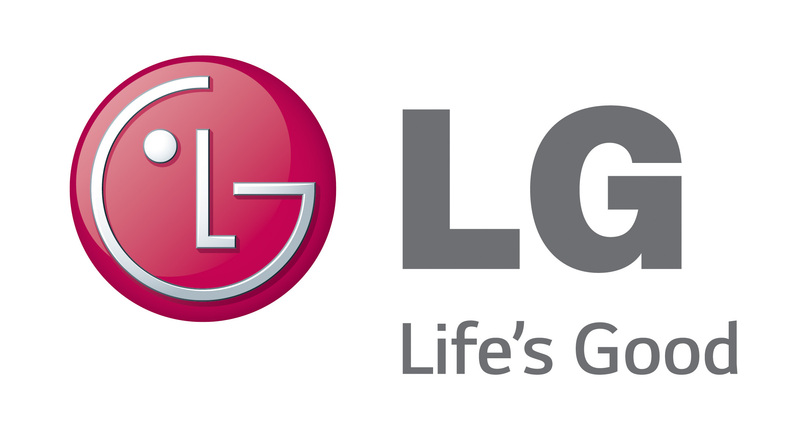 Based in Lincolnshire, Ill., with its dedicated engineering and customer support team, LG Electronics USA Home Electronics Business-to-Business delivers business-to-business technology solutions tailored to the particular needs of business environments. LG Electronics USA, Inc., based in Englewood Cliffs, N.J., is the North American subsidiary of LG Electronics, Inc., a $56 billion global force in consumer electronics, home appliances and mobile communications. NEC Display Solutions of America, Inc., is a leading designer and provider of innovative desktop LCD monitors, commercial- and professional-grade large-screen LCD displays, a diverse line of multimedia and digital cinema projectors, and integrated display solutions. It develops leading-edge visual technology and customer-focused solutions for a wide variety of markets, including digital signage, education, graphics, healthcare, restaurants, retail, transportation, and many more. NEC is orchestrating a brighter world with the quality and reliability of its products and outstanding customer service. Next LED specializes in the sales, service and management of high quality, full-color LED video displays. Based in the Midwest, Next brings Midwestern values, common sense and expectations of value to the LED sign business. Next products are designed, engineered and quality-assured from its plant in Wichita, KS. Products marketed by Next have been installed in more than 5,000 projects in over 100 countries. Headquartered in Ridgefield Park, NJ, Samsung Electronics America, Inc. (SEA), is a recognized innovation leader in consumer electronics design and technology. A wholly owned subsidiary of Samsung Electronics Co., Ltd., SEA delivers a broad range of digital consumer electronics, mobile products and wearables, wireless infrastructure, IT and home appliance products. Samsung is the market leader for HDTVs in the U.S and one of America's fastest growing home appliance brand. Through U.S. B2B sales channels, Sharp is one of the top selling brands of Large Format Displays (55"+) and is the #1 selling brand of Large Format Commercial Displays integrated with Touch (55"+)*. Sharp's professional and commercial displays are specially engineered for business applications and are offered in a wide range of sizes. From high-impact displays for digital signage, to our award-winning ultra-thin bezel video walls, to the innovative AQUOS BOARD™ interactive display systems, Sharp products help you communicate, collaborate and disseminate information brilliantly. Watchfire Signs designs, engineers and manufactures the best looking, most durable outdoor LED signs and digital billboards to help businesses and organizations increase visibility and drive growth. Headquartered in Danville, Ill., Watchfire has manufactured outdoor electric signs since 1932 and LED signs since 1996. The company has created more than 50,000 Watchfire LED signs and has more digital billboard customers in the U.S. than any other manufacturer. Prismview, a Samsung Electronics Company, is a leading LED sign and display manufacturer. Prismview offers a full range of indoor and outdoor LED display products engineered for outstanding image quality and durability. Combined with Samsung's LCD display line-up, consumers will benefit from the broadest catalog of visual display products in the world. On March 3, 2015 Samsung Electronics Co., Ltd. announced its acquisition of Logan, Utah-based YESCO Electronics, LLC, a leading LED sign and display manufacturer with more than 2,000 installations across the U.S. and abroad and more than 20 years in the industry.